We have a son graduating high school this year and are trying to make plans for his college years. While he’s done an excellent job applying for and receiving scholarships, taking AP classes, and CLEP exams, we will still have to take out student loans. My question is who should take out the loans –my husband and me, or my son? Is it bad for us to make him take on the loans? Is it better parenting to just take the loans out ourselves and pay them off? Any advice would be appreciated! You ask some valid questions and I’m encouraged that you are seeking answers now! Far too many parents make emotional decisions before thinking through the ramifications and then find themselves in difficult situations both financially and relationally. We are the parents of past and present college students so we know exactly what you are going through! Approximately 44 million Americans owe more than $1.48 trillion in student loan debt. That’s $620 billion more than our total credit card debt. And, the average 2016 college graduate carries more than $37,000 in debt! So, the perfect answer is that neither you nor your student should borrow money for college. And remember, it is possible to graduate from college debt-free! Your report that your student is doing well, taking CLEP exams, and seeking scholarships is very smart. This lowers the overall cost of their education. Taking on student debt for your child does not make you a “better” or “worse” parent. So instead of using that terminology, let’s consider “responsible” parenting. Ultimately, in my opinion, it comes down to this: The student loans in question are for your child and for their education. So you don’t need to put yourself in a financial bind trying to cover their education expenses. If you have to take out student loans, I would recommend that the majority, if not all, of the responsibility falls to the child instead of the parent. However, I do think responsible parenting means you’re involved in this decision and equip your child to know what they’re getting into and assist in making plans to pay off the loans quickly. Talk about the financial burden student loans will bring them and offer to help however you can. These financial conversations can actually be a blessing to your relationship with your teenager and help you bond in new ways. While they’re still in high school, help them make a budget and create savings goals. Walk them through a resource like the Money Map so they have a holistic picture of their financial future. Encourage them to get a summer job after they graduate high school and help them save every penny of what they earn. Maybe you can match them dollar for dollar on a savings goal for the summer. Help them apply for jobs or internships that will get them valuable experience and look great on their resume. Encourage your student to make a list of every job, sport, activity, community service opportunity, and achievement they make during their college years in preparation for resume building. Talk to them about the possibility of working throughout college. Teach them to make wise financial decisions now so they can be financially stable later on. Since taking on student loans is a serious financial commitment, there are a few things you can do to help decrease the severity of the debt. First, help your child decide on a career path. 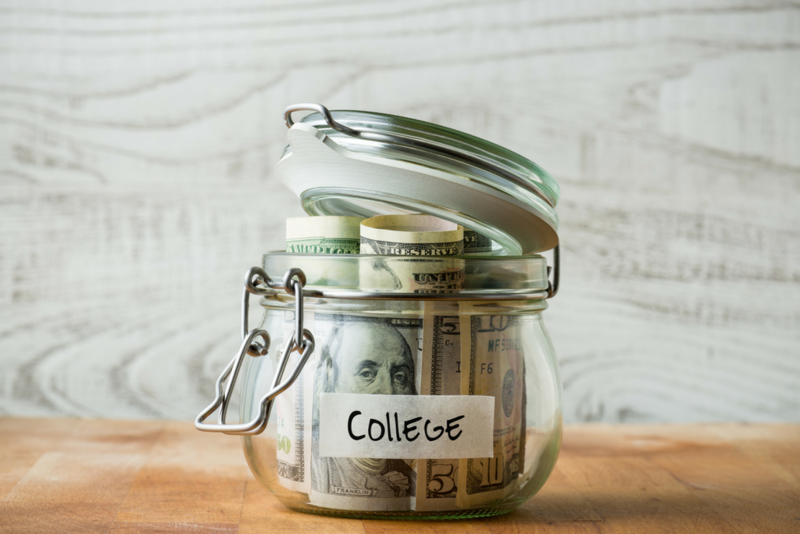 This can be an overwhelming and confusing process for many high school students and recent graduates, but it’s important, especially when talking about financing college. Crown has a Career Direct Assessment that will help your student discover their unique design and what career path suits them best. It’s a comprehensive assessment that examines personality, skills, interests, and values, all through a biblical lens. I would highly recommend your student taking the assessment and meeting with a consultant. Help them make an informed decision and choose a career that is stable and achievable. You can read about 7 trending careers here. Determining a career path will also help your student calculate an estimated starting salary upon graduation. Don’t ever borrow more than this anticipated annual starting salary. Fields that require extended education, such as doctors and lawyers, will have higher starting salaries but also require more education and more expensive loans. Plan your student loans around their future career path, and don’t ever spend the loaned money on anything other than education. Also help them budget their student loans as a fraction of their estimated future income. It may be helpful to know which careers offer loan forgiveness or assistance. You and your child should understand the Financial Aid Terms and definitions, and review smart borrowing tips here and here. Ask lots of questions and don’t sign a contract without full understanding! Study your loan option and talk about what will suit your child’s needs best. The Bible never says that debt is wrong. But it warns against accumulating debt (Proverbs 22:7) and co-signing (Proverbs 6:1-5), because of the financial burdens it causes us. If you decide to co-sign with your student on their loan, assume and plan like the loan is yours. In other words, you are just as responsible for the repayment as they are. Make sure the lender grants you access to the same information that your student has to verify that payments are indeed being made. Late payments strain relationships and credit can be ruined, so be prayerful and cautious when making this decision. Just over half of all college students actually graduate. Since this is a major decision for everyone involved, be sure to commit it to prayer and be cautious. In our home, by God’s grace, we were able to work around the challenges and avoid borrowing for college. My hope is that you will be able to do the same.